I've seen the Pipsy Koala On the Go Booster Seat reviewed on a couple of other blogs recently and really liked the look of the product so, when the brand got in touch and invited me to review something from their range it was the obvious choice for us. Little Miss is a tiny tot, at 18 months she is still wearing 9-12 months clothes and lots of people comment that she is very dainty. This makes it difficult if she needs to sit at a table and there is no high chair available. We've had fabric 'highchairs' in the past which have served as a harness to keep Bud in his seat. This worked fine for him, he was taller than average and could reach the table. When I tried LM in it she couldn't see over the table. The On the Go Booster Seat is different as it offers height, as well as a secure place to sit. The Booster Seat arrives folded into a handy bag shape, complete with shoulder strap. You simply open the velcro flap to unfold the seat. Here you find two adjustable straps which are used to attach the booster seat to a dining seat. One loops under the seat and fastens with a click, and the other is secured in the same way at the back of the chair. The straps are super easy to pull tight, you simply pull the loose end to the desired length and, after doing so, I felt that the seat was secure and unlikely to move. From there you pop your child into the seat and fasten the harness. 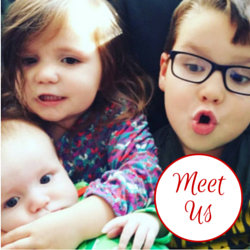 The main part of the harness is a triangle which sits between the legs and features the Pipsy Koala branding. This is fastened at both sides using adjustable straps with small clip fasteners. 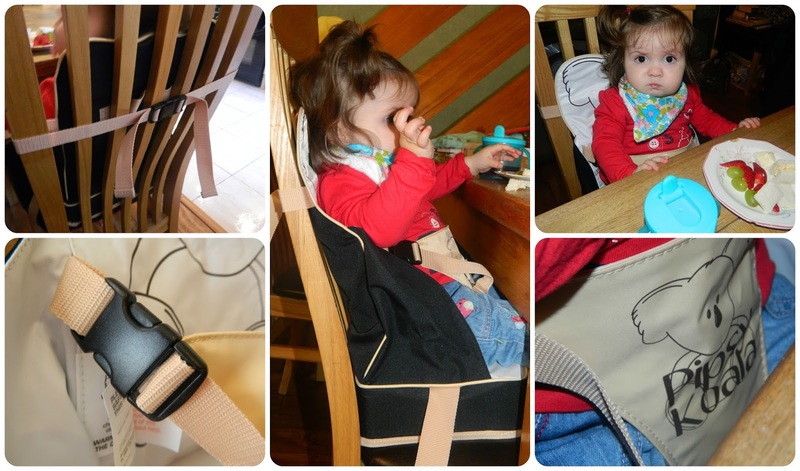 The harness and inside of the seat are made from wipe clean plastic, great for those messy meals, and the outside of the harness and straps are made from canvas. We've now used the Pipsy Koala On the Go Booster Seat a few times, it's really handy to keep in the car for when we are out and about and great to use at relative's houses. The height of the booster seat (8cm) gives Little Miss just enough height to make her seating positions at the table better and she loves feeling like she is sitting up with everyone. When she has spilled food a simple wipe has been enough to keep the booster looking fresh and clean. The seat when folded measures 31x26cm so it is small enough to pop in the car, or in the shopping basket of a pushchair (or even looped over a handle if that is full). The black and beige style is easy to keep clean and robust. The seat is recommended for use from around six months (as soon as a child can sit unsupported I would say) to four years so I think we will be using it for at least the next two to three years (especially as LM is so tiny). We like the seat very much and would definitely recommend it for parents who regularly find themselves in need of a boost to their little one's sitting position. The Pipsy Koala On the Go Booster Seat has an RRP of £21:99 which I think is a very reasonable price to pay for an item that makes eating out with your little ones easier. 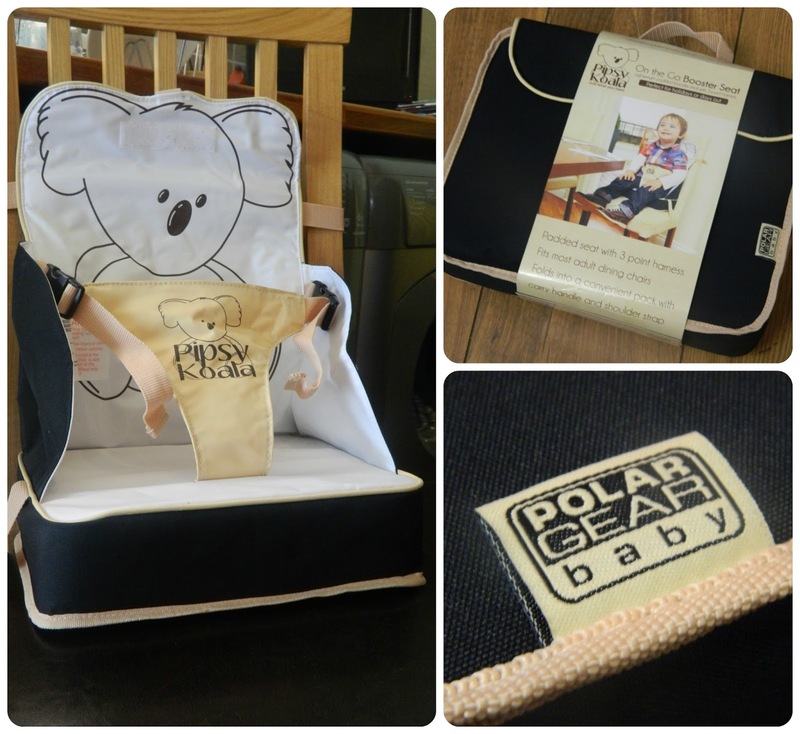 The booster seat can be purchased from the Pipsy Koala website or from the list of independent stockists shown on there.